Streams of the southwestern United States contain some of the most unique and endangered fish species on the planet. Conserving these species requires knowledge of what physical and biological conditions enable them to live at a particular location. 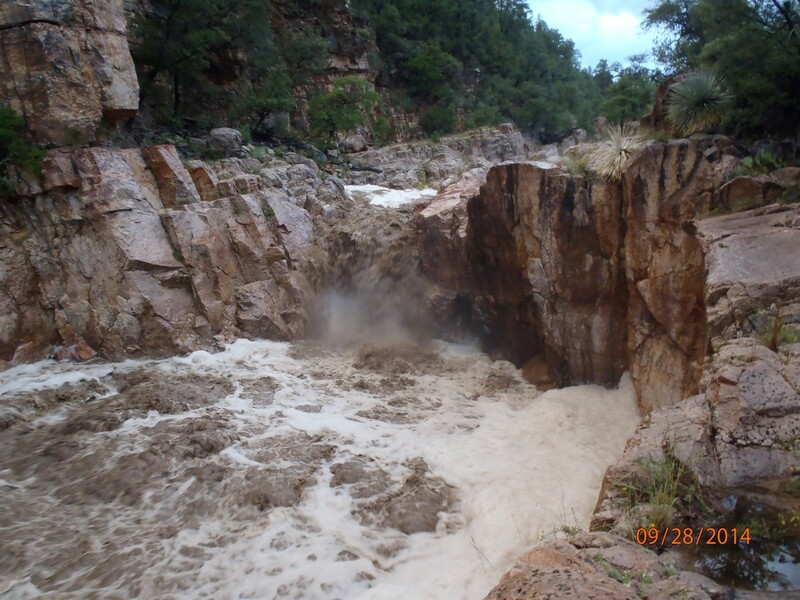 Mining companies and others want to harvest flood flows in addition to baseflows in Southwestern streams. In late summer 2015, expert witnesses were questioned in a recent Arizona water rights trial on the importance to fish of the five different parts of the hydrograph (water level, flow duration, rate of change, frequency, and timing as outlined by Poff et al. 1997), and the effects of altering these. Our current knowledge is focused primarily on the need for adequate baseflow, and some on flood flow; however, information about the relative importance of various other parts of the hydrograph could improve our management decisions, especially because water interests want to harvest parts of the hydrograph outside of baseflow. The goal of this project is to identify relationships between select native and nonnative fish species presence with the five components of the hydrograph described above. Hydrograph components will be expressed in two ways: as discharge and mean velocity, and history of these flows and their relationship with fish presence will be examined as well. Flow information is being obtained from field observations, available data from in-stream flow models and USGS gauging stations. Fish presence data is being obtained from prepositioned electrofisher surveys. Additional information from a collaboration with AZGFD will be used to examine changes in populations with changes in discharge over time. This information will improve in-stream flow management, inform the use of flow management to manage interactions among native and nonnative fishes, provide additional information for habitat improvement projects, and help provide information for upcoming water rights litigation. Field work on this project started spring, 2017 and was completed in fall, 2017. Data analysis is currently underway.. A thesis and publication will result from this project. Partners include USFS, USFWS and AZGFD.